"Hakuna Matata" is a 53' Aft cabin Enclosed Bridge Cockpit Motoryacht and a custom build from a noted quality builder G&S Boats in Freeport, FL. Known for their superior design, construction and impressive performance in the sportfish market, G&S takes that experience and applies it to create a quality performance motoryacht' with excellent speed and sea keeping ability in the comfort of an enclosed raised pilothouse design. Similarities to quality builds such as Hatteras and Viking are evident. Her interior is very spacious done in light wall coverings and is in excellent condition with newer carpeting, galley up configuration and 3 staterooms with 2 heads. The aft deck and flybridge are also air conditioned and create an abundance of living space. She is a fast Motoryacht with twin low hour Caterpillar 3406's rated at 800hp, she will cruise easily at 25 knots to get you to your destination in total comfort. "Hakuna Matata" Just received a complete paint job and bottom job in May 2018 and is in excellent condition. She is located in our marina and deserves an appointment for your personal inspection. 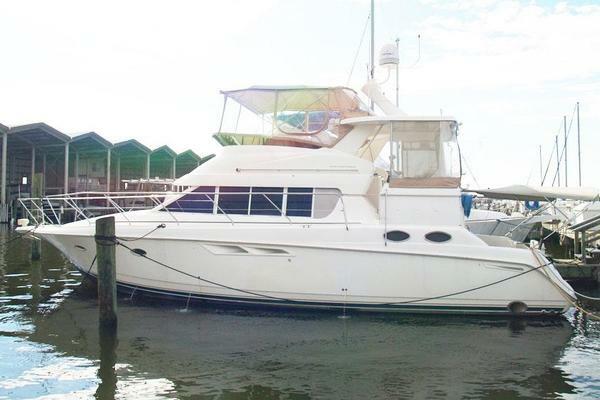 United Yacht Sales New Jersey would love to guide you through a personal showing of this 53' G&s Aft Cabin Motoryacht 2000. 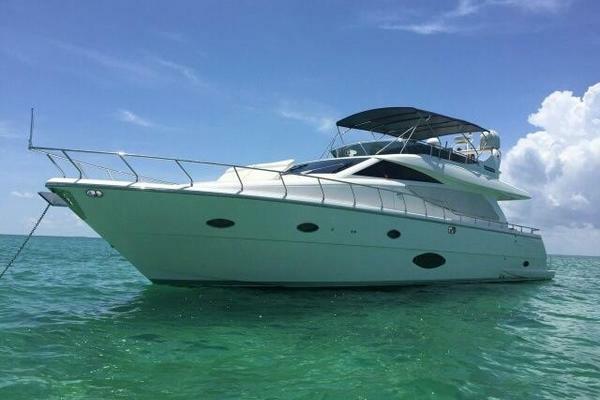 This yacht for sale is located in Longboat Key/Sarasota, Florida and priced at $400,000. For a showing please contact us by filling out the form on this page and we will get back to you shortly!